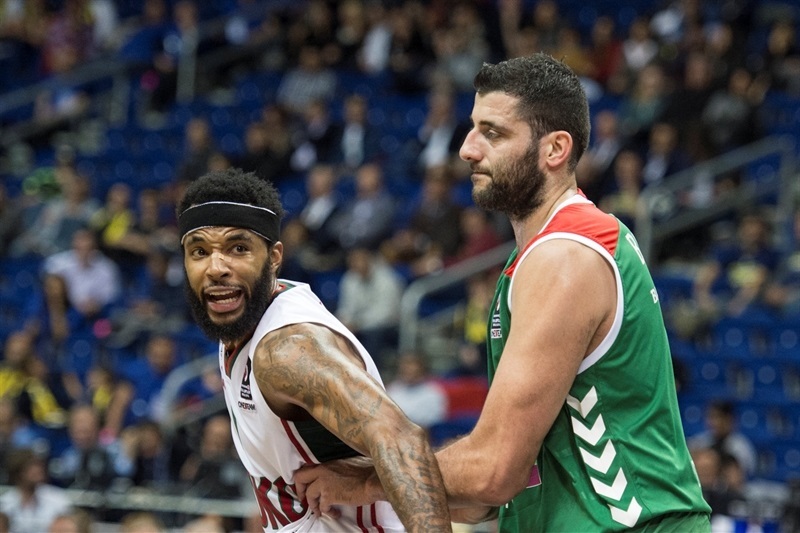 Lokomotiv Kuban Krasnodar completed a magical Turkish Airlines Euroleague season with a 75-85 victory over Laboral Kutxa Vitoria Gasteiz in Third Place Game on Sunday at Mercedes-Benz Arena in the German capital. 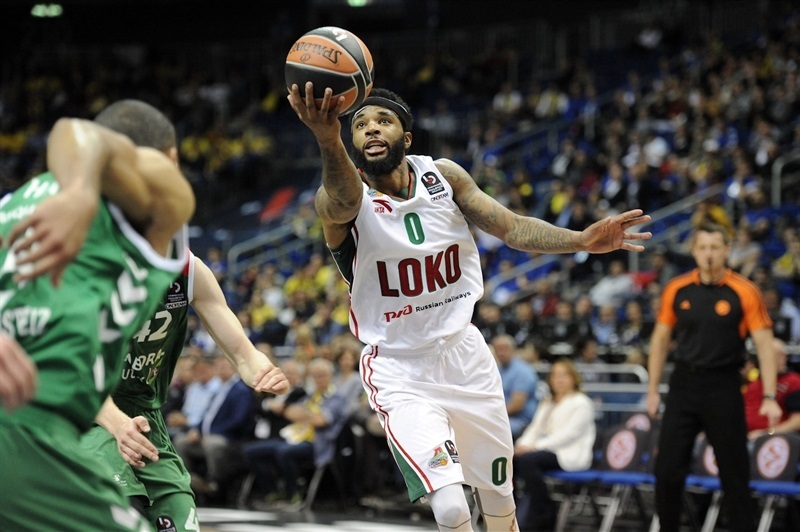 Malcolm Delaney and Ryan Broekhoff scored 21 points each to lead six Lokomotiv scorers in double figures. The two combined to shoot 8 for 13 from three-point range. 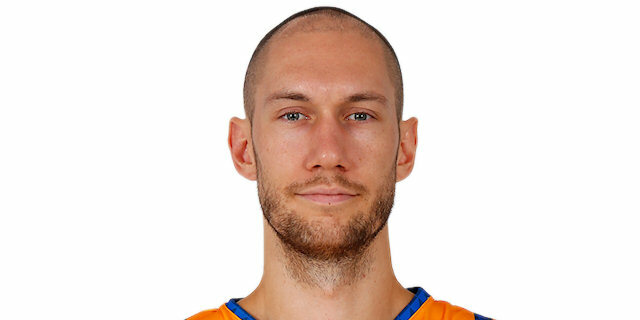 Andrey Zubkov added 11 points, while Chris Singleton, Victor Claver and Matt Janning scored 10 each for the victors. 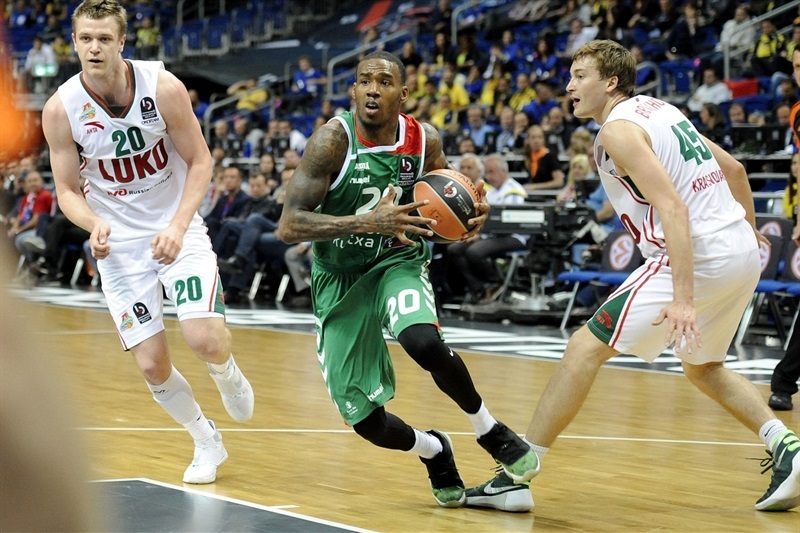 Darius Adams paced Laboral with 25 points and Davis Bertans netted 13 in defeat. 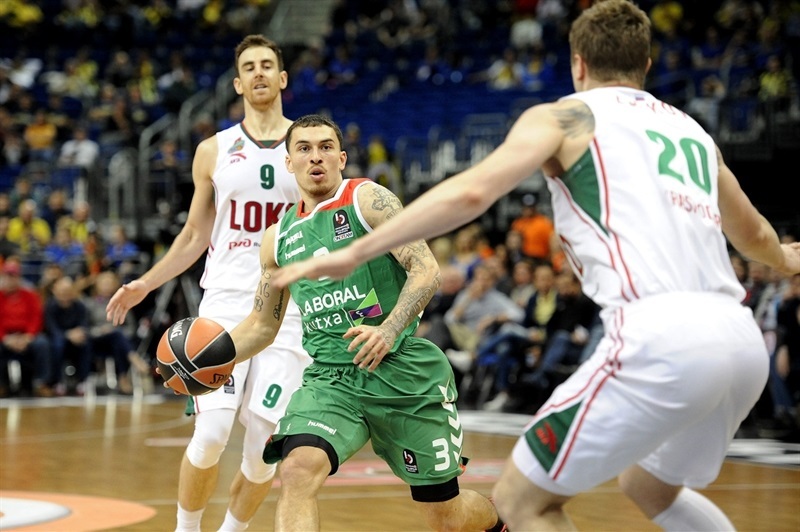 After a tightly played first half, which ended with Laboral ahead 42-40, Lokomotiv surged in front with a 0-11 third-quarter run and held on the rest of the way. 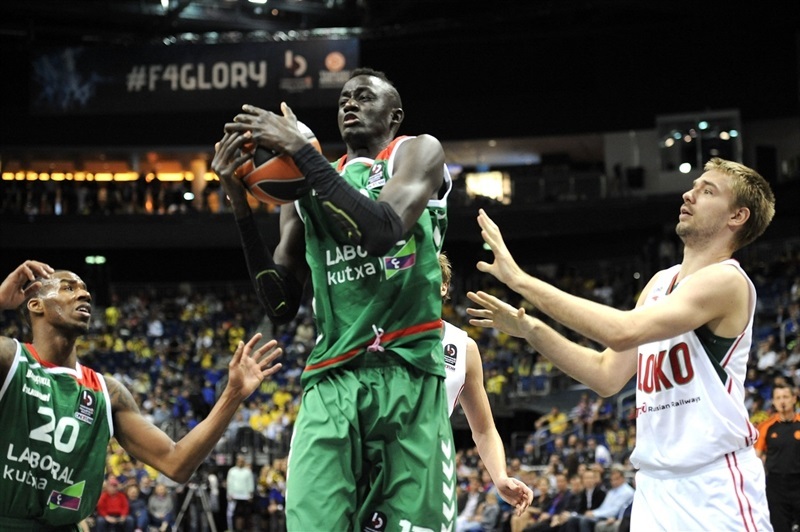 Adams opened the scoring from inside and Singleton buried a jumper to get Lokomotiv on the scoreboard. 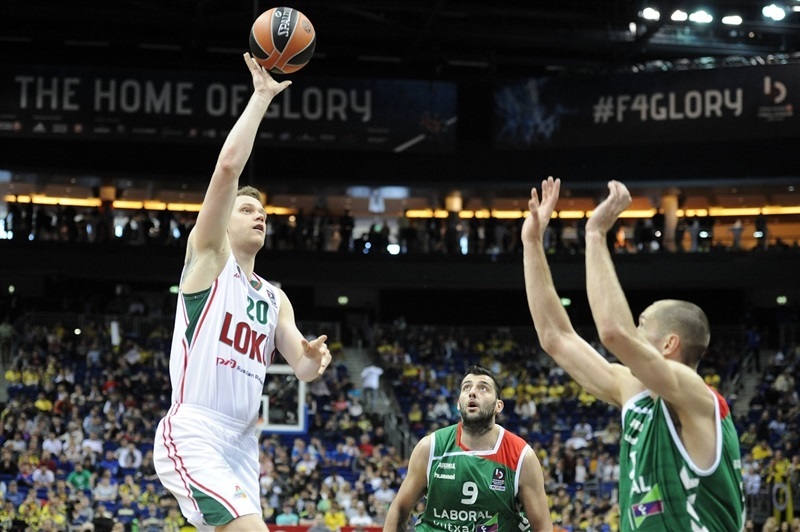 Bertans nailed a triple for Laboral and before Delaney and Darko Planinic traded free throws. Adams collapsed the Lokomotiv defense with a drive before dishing to an open Bertans for a triple and a 10-4 lead. Broekhoff and Claver erased the difference with back-to-back threes on the ensuing possessions. 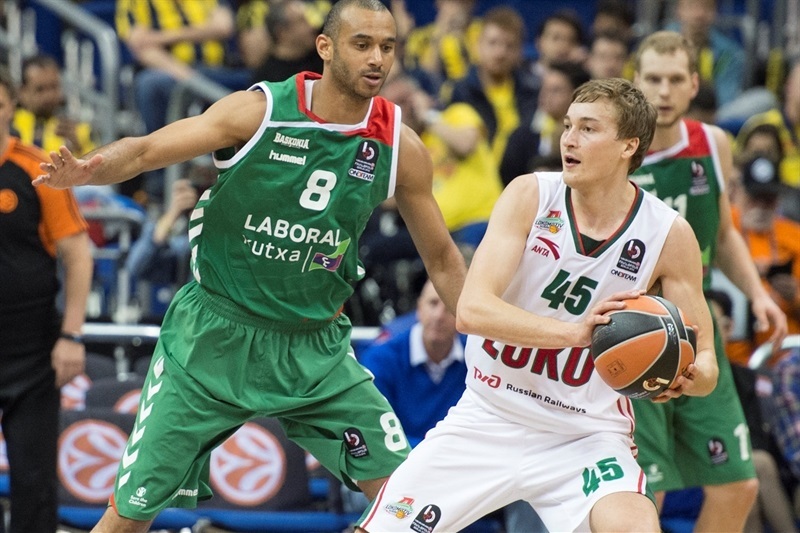 Planinic put Laboral back in front, however Broekhoff’s next three put his team up 12-13. 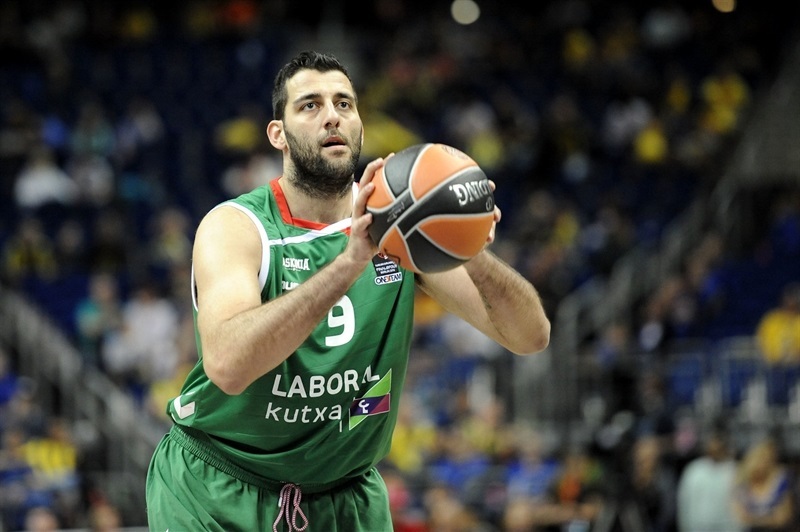 The lead switched hands as Ioannis Bourousis hit free throws and Singleton followed with a jumper. 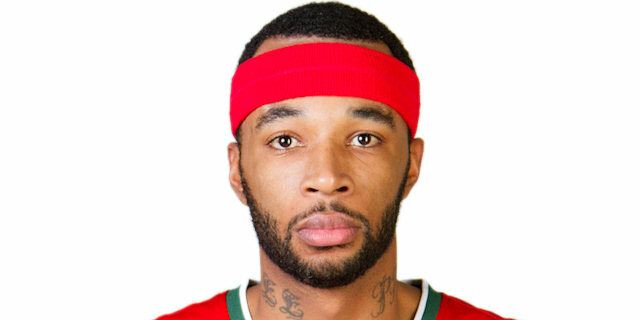 Singleton added to the Lokomotiv edge, but soon took a seat with his second foul. Free throws by Jaka Blazic and a pull-up triple from Delaney made it 16-20 after 10 minutes. Bourousis and Zubkov scored inside. 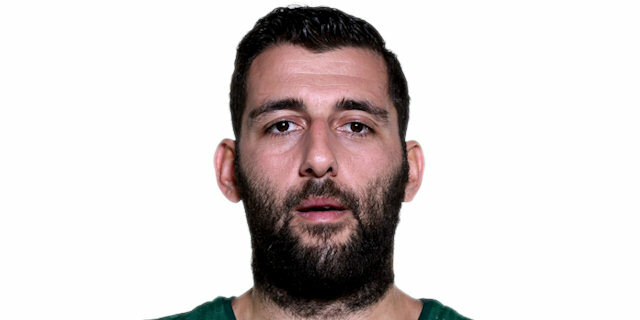 Bourousis took an unintentional shot in the face from Delaney and split the resulting free throws. Adams attacked the rim before assisting Blazic for a layup that made it 21-22 two minutes into the quarter. A wild Alberto Corbacho triple briefly put Laboral ahead, but Dontaye Draper’s three and Boekhoff’s free throw – after Delaney made a smart and spectacular play to save a ball – restored a slim Lokomotiv lead. Kim Tillie knotted the game at 26-26 with foul shots. Draper hit a jumper that Adams matched. Broekhoff and Adams then traded triples. 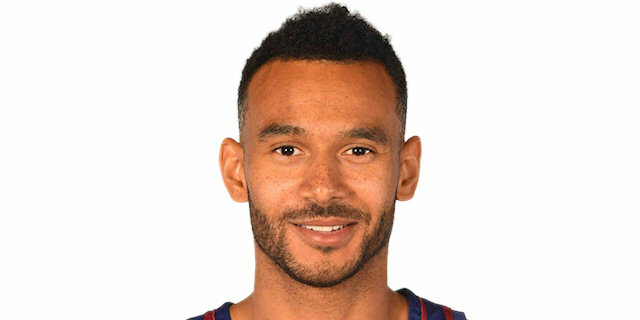 In one spectacular stretch, Draper stripped Bourousis to start a fast break, but Adam Hanga rejected Zubkov at the rim at the other end. Nothing separated the teams after Hanga’s free throws and Zubkov’s bucket inside. Hanga put Laboral up 34-33 with another free throw, but was called for a foul at the other end and Broekhoff hit the resulting 2 shots. 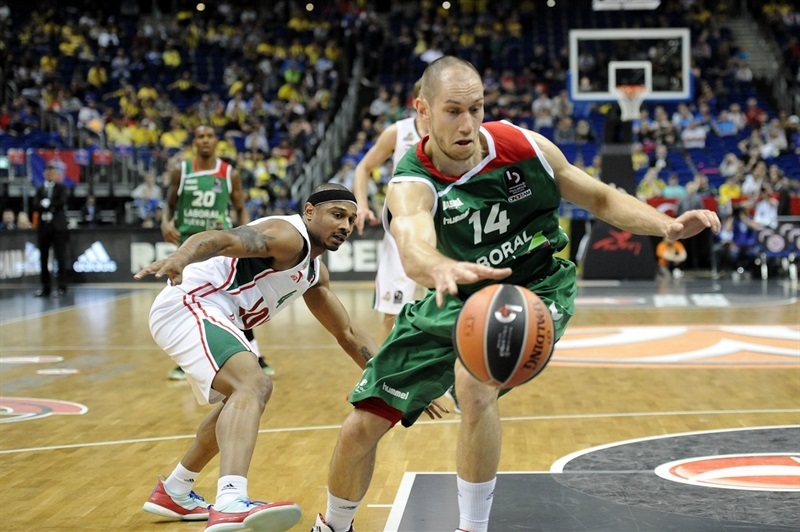 Adams took charge with a three-pointer followed by a layup and foul as Laboral surged in front. 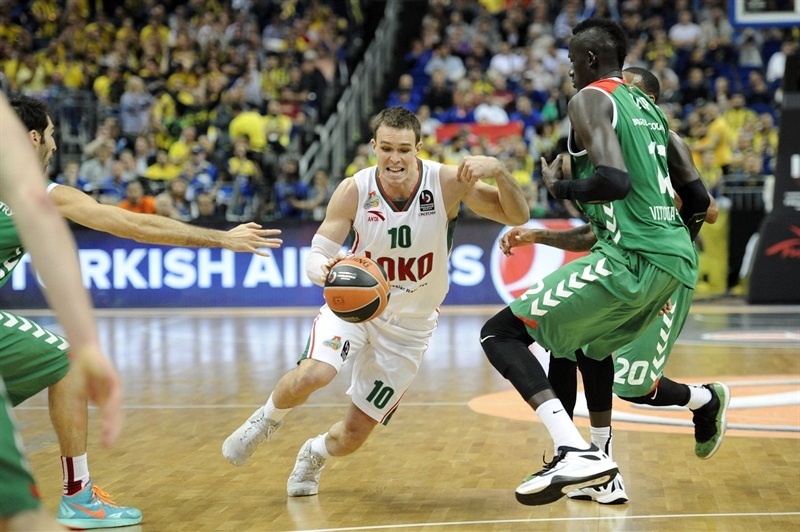 Claver answered with a long jumper before Janning nailed a three from the corner to even things at 40-40. Bertans’s free throws gave Laboral a 42-40 edge at the break. Singleton’s jumper to start the second half evened the score, but Ilimane Diop nosed Laboral back ahead with a bucket in the paint and a baseline jumper. 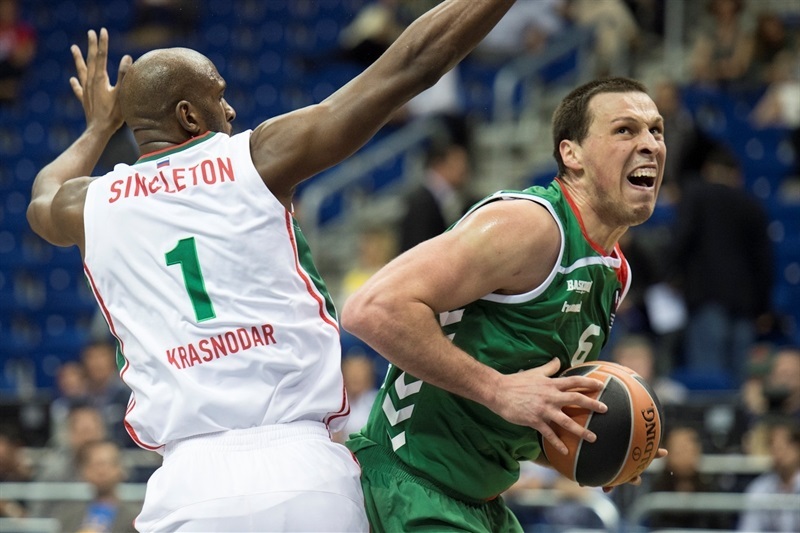 Broekhoff scored off a broken play and Singleton added free throws to give Lokomotiv a 46-47 edge midway through the quarter. 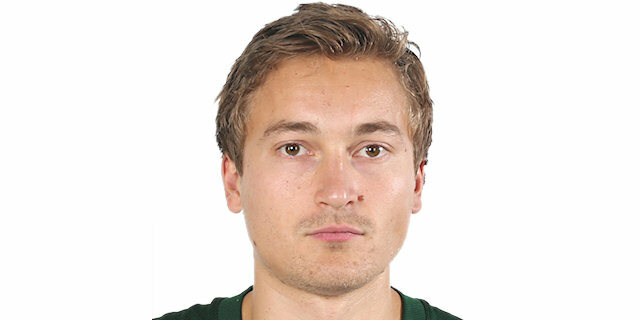 Broekhoff’s put-back on a fast break padded the difference. Claver scored a layup in transition and Delaney capped a 0-11 run with free throws that made it 46-54. 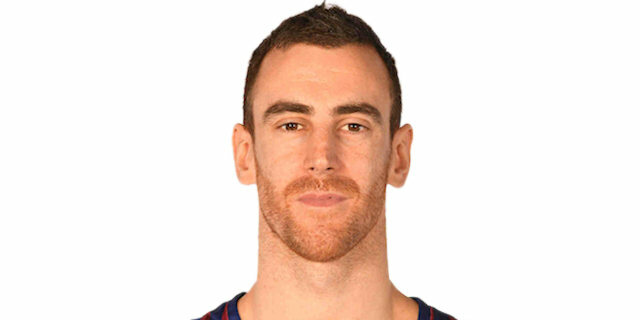 Mike James got going with a layup off penetration, but good team ball set up Claver for a layup at the other side. Delaney bettered Tillie’s free throws with his third three of the night to further stretch the lead, which reached double figures after Zubkov free throws. Adams hit a three to make it 53-61 at the end of the quarter. Janning struck from downtown early in the quarter and soon added a backdoor layup to make it a 13-point game. Laboral tried to get Bourousis involved without any success, as he was double-teamed every time he received the ball in the low post. Meanwhile, a triple by Zubkov broke the game open at 53-69. 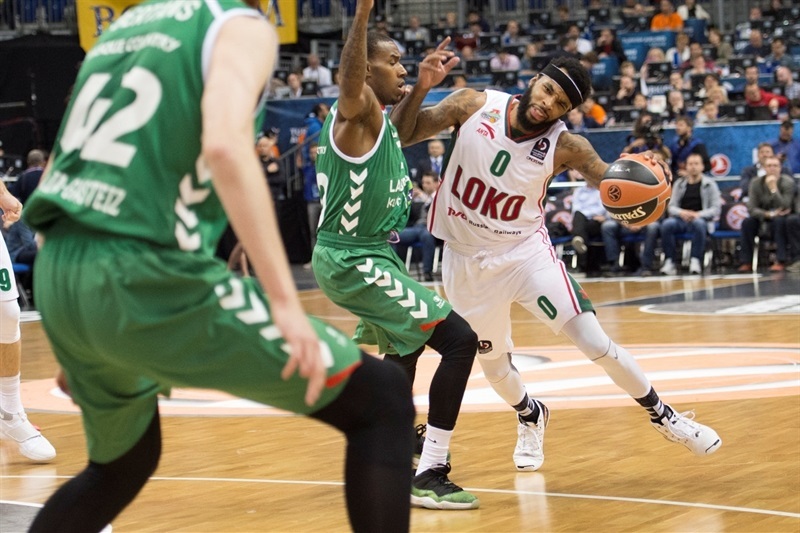 Adams and Bertans tried to ignite Laboral's comeback with back-to-back three-pointers, but Zubkov and Janning kept Lokomotiv fully in charge. 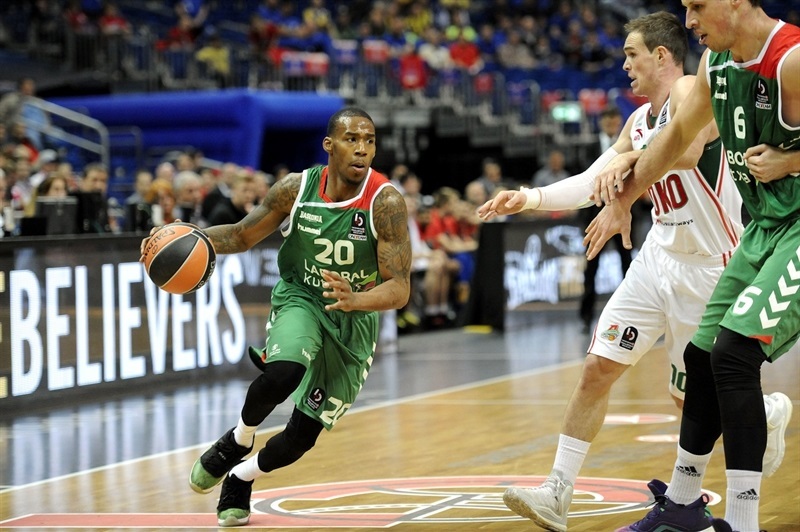 Broekhoff scored again and a three-pointer by Delaney boosted the guests' lead to 62-78 midway through the quarter. Delaney took over with an acrobatic layup, but Tillie and Adams kept Laboral within 65-80. 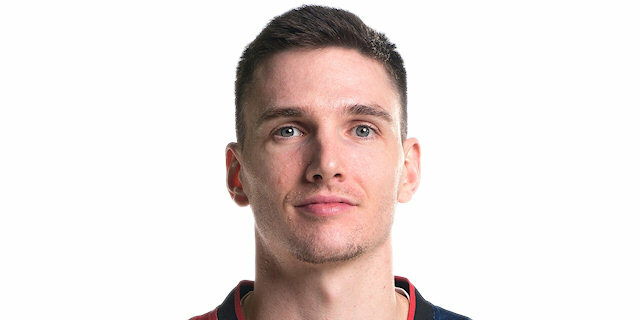 Broekhoff buried another three-pointer and even though Laboral didn't give up, Lokomotiv had plenty of time to celebrate a historic win in its last game of the season. "We started the game good. We played with speed and energy, but in the third quarter the team went down. We lost a lot of balls and we couldn’t get back. They went up 10 points and it was over there because we didn’t have the energy to get back into the game. We tried, but we didn’t have the power to play a good game. It was very important for us to play in the semifinal and the way that we played was respectful. I think we can say that the season has been brilliant for us. 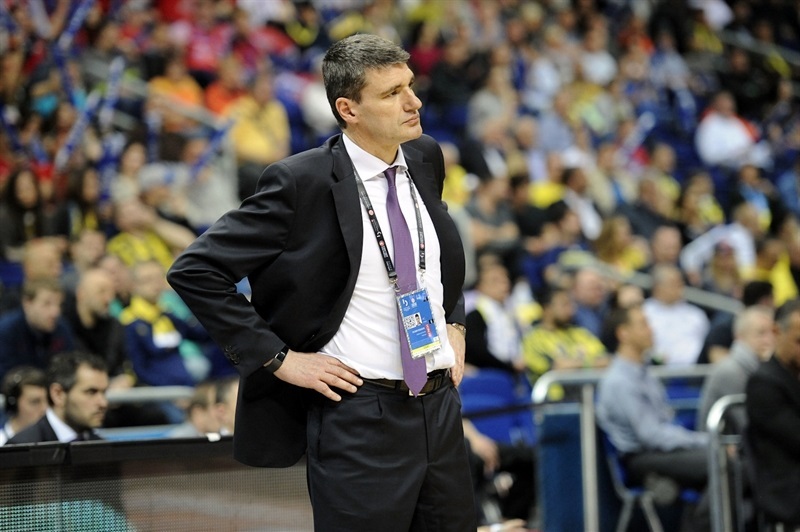 It is very difficult to play in the Final Four. You’re here and playing the semifinals and we’re very proud. We would have liked to have gone further, but we are very proud of what we achieved." "It was a great finish for us even if we don’t leave Berlin with a title. I think we did our best all season. I think we were competitive all season. I appreciate the effort of the Loko community, from the president, to every player, to our staff and to the people who supported us all season. 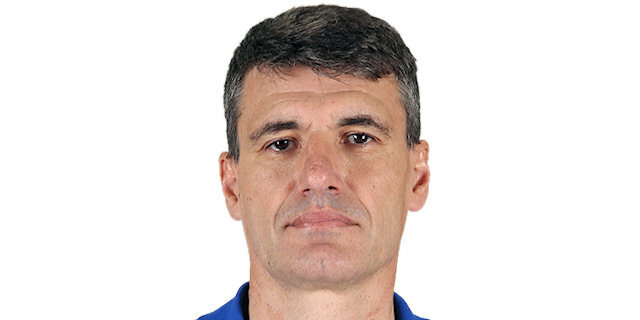 We finished the season with a smile, which is very important for us. Nobody knows what the future holds. I feel a lot of appreciation to Loko and the president for me to coach at this level. It’s important to me that they trusted me. They accepted all of my movements. I feel appreciated by the club. We wanted to finish this season with a title. We knew that it was difficult. You need a little more experience from the very beginning to play in the semifinals. All this experience is something that really counts." "We had a great season, but it is a bit disappointing to finish the season like this, especially because of the game against Fenerbahce. We really had it and let it slip because we didn't play well at the end. I think we fought for three quarters, and then we ran out of energy, put our heads down and stopped making shots. And they were more aggressive than us. Maybe they were mentally stronger. It is a tough game and like I said, we played well for three quarters. We were motivated and run out of energy, that's what happened." "They had more energy than us and really wanted to win, that's the thing. We also really wanted to win it, but couldn't. Our shooting percentages were terrible, including myself. I couldn't make one single shot, but that's what it is. Now we have to go home and play a game on Wednesday. Our season doesn't stop! I want to thank our fans, we really appreciate them and really wanted to win today, but couldn't get the win. We have to try to correct these two losses in the Spanish League. 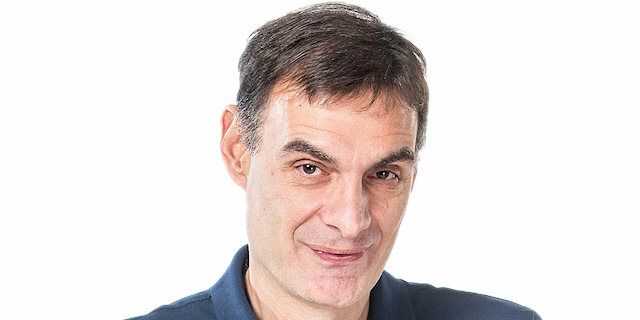 We are proud of our Euroleague season, but right now, I am a bit disappointed. Maybe in two months we will look back and think differently, but right now I am disappointed, we really wanted to win this game." "This game is more about mentality than anything else. After losing in the semifinals the way we did it, it is not easy to play this one. The team tried to play hard, to win the game but didn't get the win. We had a great season in the Euroleague. Nobody expected to have these results and all of our players gave everything, 100%. It may be my fifth Final Four, but it is amazing how we arrived at this time, because nobody expected it. Our fans were great all season long. We played hard and they helped us a lot, so all I can say is 'thank you'." 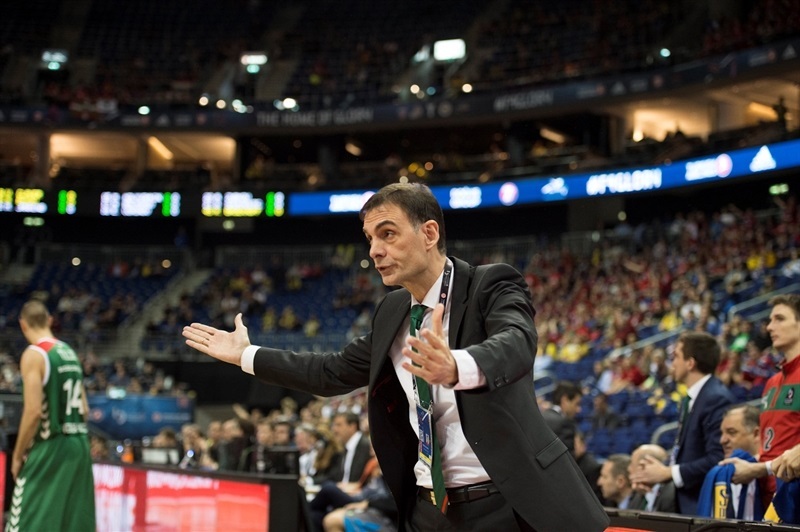 "Laboral is a very, very good team, so we came in expecting a real tough, physical game. They like to move the ball, shoot the ball, similar to the style that we play. We came in focused. This was the last time we got to play this season, and probably the team as it is all together. We wanted to go out with a win, have a positive game, and give back to the fans, to the club, to everyone who supported us all year. So, this game still meant a lot to us." "We wanted to win. Of course, we wanted to play in the other game tonight, but we still had to play. We lost four consecutive games coming into this one, so we wanted to win our last game. On Friday we did not play well, but we still only lost by 7 points, and it was one of our worst games of the season. I think people respect us. We came out today, we played well, we played our style and everybody contributed. So, it was good to go out like this." "It is tough to play games like this where there is not a lot of meaning either way. We prepared the same way we usually do. We watched film, we looked at some of the things they do, but the main things was to come out, have fun, play hard. It was one more chance to play together as a team. It was fun to come out and play with everybody one last time. We wanted to play hard, do the things we have done all year – shoot, play good defense – and that's what we did. It was fun." "We wanted to finsh the right way, play hard like we have been doing the whole season. We wanted to finish the season with a win, which is what we did. We came out, played hard, and that's what got us a win."